Warning: If you don’t like spiders you WILL NOT like this post! 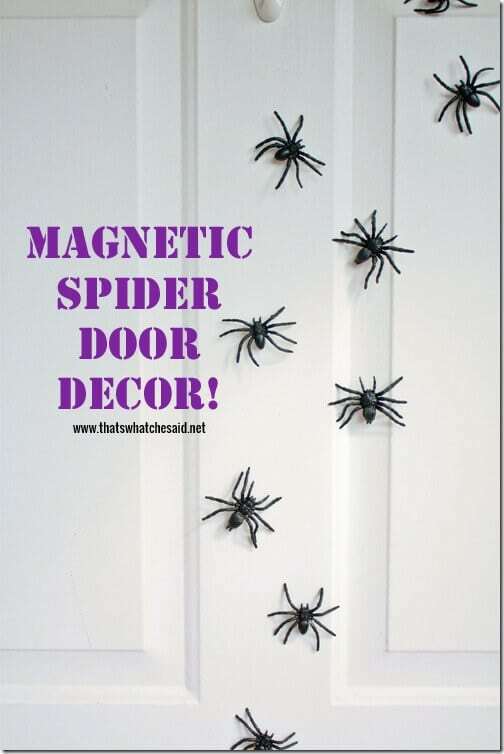 We created a spider attack magnetic spider door decoration! They boys are having a blast with it…making designs and moving them all around and Fred and I have to act surprised and scared each time we walk by a new design! 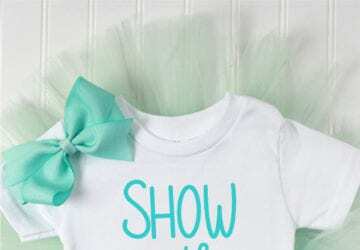 It’s cute! I picked up these pretty awesome spiders from my local Dollar Tree. They are not the spiders that you find on rings, they are beefier, thicker and more realistic looking! They came in a pack of 12 so I picked up two packs! 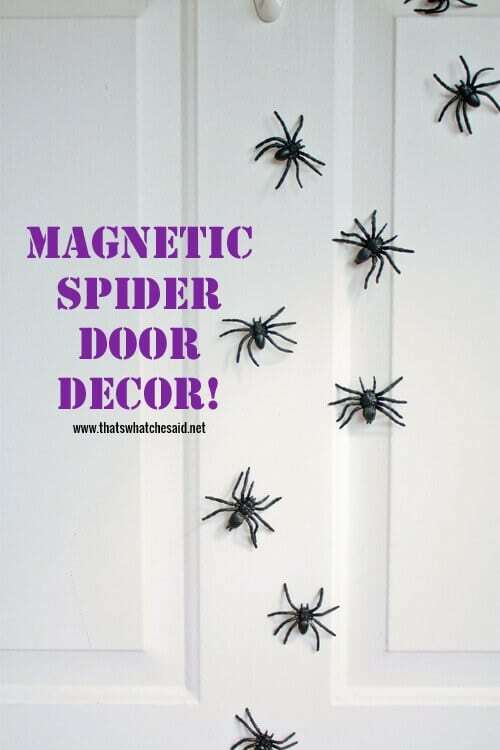 Add some magnets and you have a Spooky Spider Wall! Let’s get started! Easy as that!! 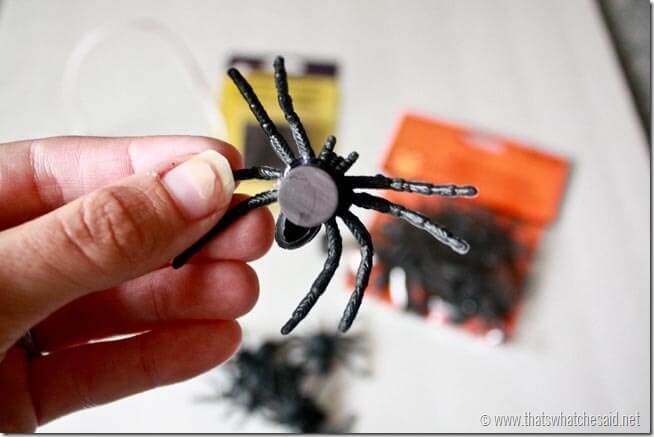 Hot glue the magnets on the back of the spiders! 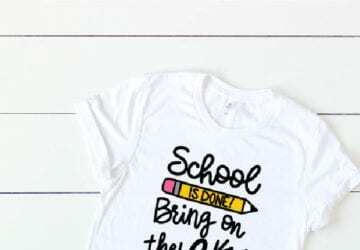 Let your kids “decorate” the door or your fridge! 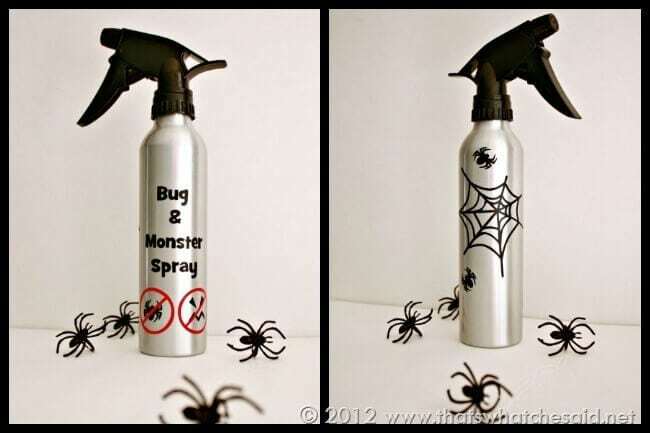 They also thought it was funny to go get the Bug and Monster Spray I made for them last year and have the bottle nearby! I found that some of my décor that’s the most simple, the décor that’s interactive, seems to be the biggest hits here in my house of boys! 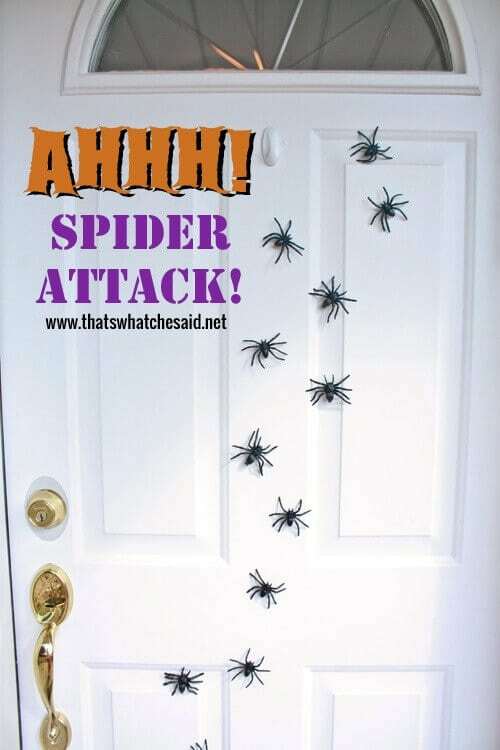 What are some of the decorations that are the biggest hits in your house?? 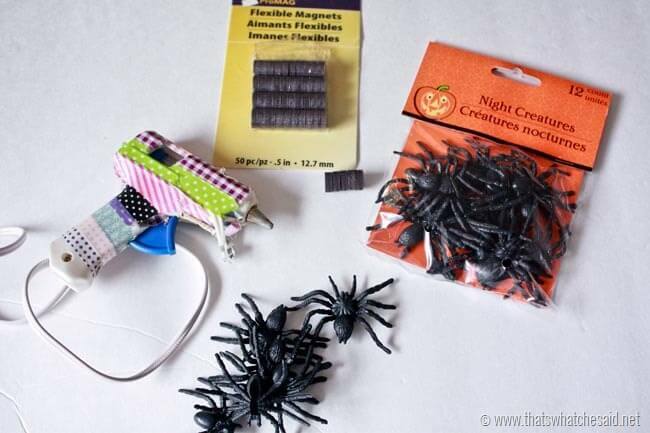 Be sure check out all of my Halloween Ideas from past years and this year! All in one place!! Do you think I could get the same effect using lizards instead? My niece really, REALLY hates lizards of any type. Ok, she’s not a kid, she’s an adult. This is just perfect for Halloween. And no, I’m not mean to her, as I rarely do lizards to scare her. Thanks for the idea.